Seems obvious, right? Over-pouring is bad. Fair enough, but do you know WHY it’s so bad? And do you know HOW bad? Let’s break it down. On a basic level, bartender over-pours means giving away your products, which is the same as giving away your money. The bar purchases a 1 Liter (33.81 oz.) Bottle of Jack Daniels for $25, which costs the owner $0.74 per oz. Let’s say their normal pour is 1.5 oz. but the bartenders are pouring 3 oz. instead for good-tipping regulars, which is a common practice in our industry. As an owner, you’re thinking: “I don’t like losing money, but it’s only $1.11.” ($0.74 x 1.5 oz. poured). But is it only $1.11? 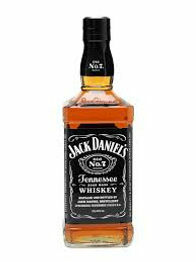 Jack Daniels sells for $8 at retail. What if the bartender doesn’t over-pour and that extra 1.5 oz. stays in the bottle? It can now be sold for $8 to someone else. So now the bar has lost $8 in sales and $6.89 in profit for just one drink. The potential retail profit lost from over-pouring adds up and ends up as a monstrous loss, something many owners don’t take into consideration. You have a regular who comes in for a couple of hours and plans to have 4 Jack & Cokes, one every 30 minutes. Because this is a good regular, your bartender pours him an extra 1.5 oz. The problem is, the drink is so strong it takes him twice as long to drink it and he’s getting twice as drunk. He eventually orders one more, gets the same pour and by the time he needs to head home he has only ordered two drinks. So not only are you losing money on the over-pours, you’re losing money on sales because the guests are drinking slower. This practice is the exact opposite of the guy who came up with offering popcorn and other salty snacks to guests so they would drink faster and drink more. Now they’re being limited. I get that over-pouring is”just the way it is in the bar industry” (even though that’s a bunch of crap, but I’ll save that argument for another day), but it’s time to stop conforming to a belief that it’s ok to turn your head and ignore the problem. It’s crippling your business financially while your bartenders reap the benefits by giving your products away for free so they can make a bigger tip. Stop allowing the bartenders to run the business, which means stop being a bar owner and start being a business owner.